When I left U Divadla I was hoping fate will put me on the 17 to Trója, a part of town I've never explored, but I'm on the 26 instead, on my way to Lipánska. At least I know where I'll have my next beer: Lavička. Though I've always liked the looks of this place from the outside, I've never walked in. 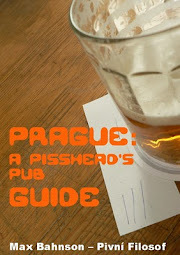 Didn't even consider it for the 2nd Edition of the Pisshead's Pub Guide. Can't tell you why. Inside looks pretty much like I was expecting it to look. It's a restaurant through-and-through, not a pub. It's clear by the decoration, and because the bar is almost hidden behind a fireplace; it's got nowhere to sit and the counter is quite cluttered, and if they didn't expect (or want?) people to perch there. In short words, a fine place to bring your spouse or long term partner, but not so much for a few beers with your mates. The beer, Bernard Nefiltrovaná 12°, is in really good shape (better than I expected in fact, given that hardly anyone around me is drinking beer), I only wish they had served it in a chilled, wet glass as it's proper. Lavička isn't quite my kind of establishment, but I reckon the missus could like it. I must keep it in mind, especially in summer, they seem to have a nice patio. A drizzle is falling. The kind that is very pleasant to walk under, especially if you're in a city. But I can't indulge, I'm a man on a mission... Where have I heard that before? Never mind, I have a tram to catch. The 9 this time, to Nákladové nádraží Žižkov. Well, I'm not precisely spoilt for choice here. A dodgy looking Staropramen bar, next to a Činské Bistro with Samson are by the stop. I guess I will have to go to U Kozla, in Basilejské nám. No! Not yet. I'll go deeper into the side streets and see if I get lucky. If I don't, at least I will have had that walk in the rain I so much craved. There were no pubs to be found (I'd like to have a word with whomever said Žižkov has the highest concentration of pubs in the... somewhere). But I don't mind, the walk was quite nice, and I'm in the right mood for a beer. Now, this is a proper Czech hospoda. Taproom in the front—with a štamgast table—and dining room, subdivided, in the back. Everything is reassuringly old-fashioned. With the exception of some of the bottles displayed along the wood panelled walls (there's one of a buckwheat beer from Slovenia, never heard of that), I doubt the decoration has changed much in the last quarter century—that includes the ugly tablecloths and the mullet of the waiter that only takes food orders (there's another one for drinks). I only wish the windows weren't frosted, the weather is perfect to watch the world pass by while sipping a pint. The clientèle is a pretty diverse bunch: men and women of different ages and walks of life; and, as far as I can see, nobody has their face glued to a screen, as if the pub's atmosphere has made them forget about the electronic masters they carry in pockets and purses. The waiter patiently reciting by heart the day's menu to a blind man adds to that neighbourly vibe that is making me feel so comfortable. It's shame I can't praise the beer. I don't realise there's something wrong with it until I've ordered the second pint, when I burped. Burps are an unappreciated tool to evaluate what I call the post-aftertaste of a beer. 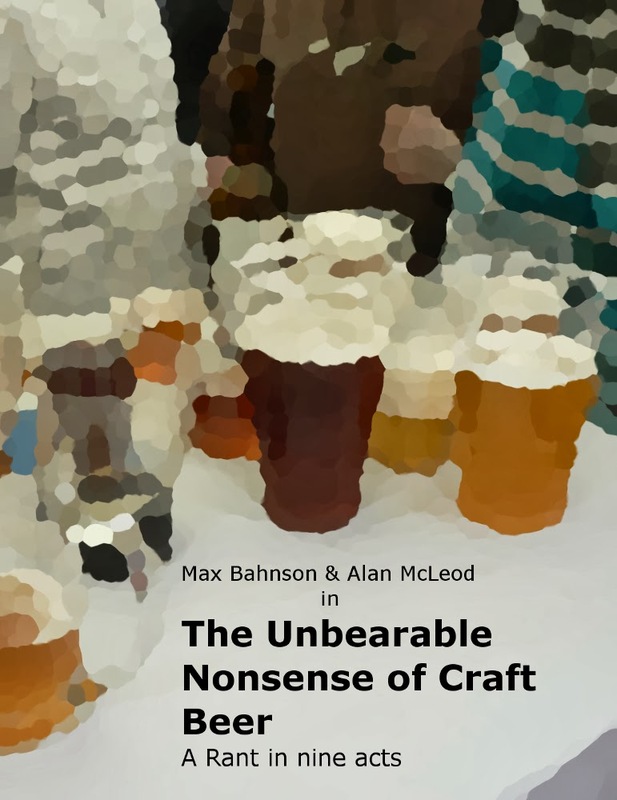 For instance, I love the burps of a clean aromatic IPA. In this case, though, the post-aftertaste evokes opening the door and walking into a deep, poorly ventilated cellar in an old building. Once I notice it, it becomes the olfactory incarnation of a distant, unidentified buzzing sound; it's impossible to ignore. I don't remember when was the last time I drank Kozel Světlý, but I doubt is the beer; something wrong with the dispensing lines is, I believe, the most likely cause, in which case getting a pint of any of the other beers on tap won't be wise. It's a pity, I was enjoying this place. Never explored Troja????? It's a lovely part of town and has a few decent pubs if memory serves. Yes, it is one of those few bits of Prague that, for some reason or another, I've never bothered to explore.